Dispelling a year of gloomy predictions of poorer international competitiveness, Australia’s higher education system has come third on a ranking based on performance across 36 disciplines, behind only the US and Britain and equal to Germany. 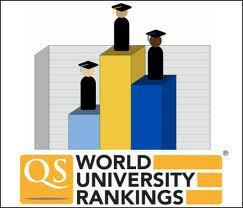 Australian universities also came in third place based on institutions in top 50 positions in the 2015 QS World University Rankings by Subject. Australian National University topped the list of 29 local universities qualifying for the ranking, with four disciplines being scored among the top 10 in the world: agriculture and forestry (seventh); politics and international studies (seventh), history (ninth) and development studies (10th). ANU also reached the top 100 in 23 disciplines. Ian Young, ANU’s vice-chancellor, said he was particularly pleased with ANU’s top 10 performance in development students. Most people haven’t heard of it, but it’s a broad collection of subjects that deal with impacts on the developing world, such as social sciences and demography. It’s what we regard as our core business at ANU with our strong focus on Southeast Asia and the Pacific. Overall, Group of Eight universities dominated Australia’s presence in the rankings. Melbourne claimed top 10 spots in education (fifth) and law (eighth); Sydney’s top place was ninth in education. The comprehensive nature of Melbourne saw it outscore ANU topping 14 subjects nationally, while ANU managed only nine. RMIT was scored the highest spot of a non-Go8 uni, claiming 20th spot for art and design. It scored 33rd for architecture, while Queensland University of ¬Technology was placed at 25th for communications and media ¬studies. QS surveyed 85,000 academics and 42,000 employers and analysed 17.3 million research papers and 100 million citations to compile the rankings. US universities dominated with Harvard and MIT claiming first in 21 subjects each.